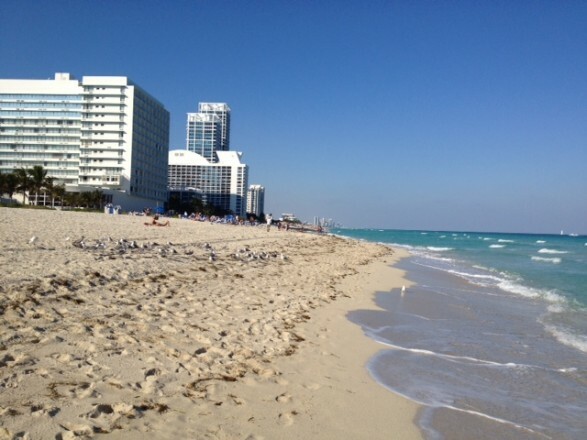 It is hard to believe a humble oatmeal dish took my husband, Jack, and me on a trip to Miami. When Smart Balance asked me to participate in their national recipe contest, I almost didn’t do it. Would asking for votes, repeatedly over a month, be an annoyance to people? I certainly didn’t want to be a bother, yet a little encouragement from family and friends led me to say yes. My ultimate hope was that I would end up somewhere in the middle of the voting. Ultimately, I didn’t win this contest. All of my friends, those who read The Fountain Avenue Kitchen and faithfully follow and cook my recipes, won it for me. Thank you sincerely for that. It was also amazing that Smart Balance gave me two trips — one of which I was able to do with whatever I pleased. Giving away that second trip through a drawing on my website was almost as exciting as winning a trip myself. 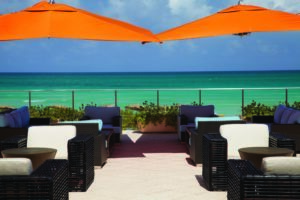 The trips were all-expenses paid, two-night stays at Canyon Ranch Resort and Spa in Miami. We were given one year to use them, although I was quite sure I wanted to go during the cold winter months. Miami would be even more inviting then! So, last Friday we departed. Waking up to a blustery 10-degree day with snow in the forecast reaffirmed why January was the perfect time to go. 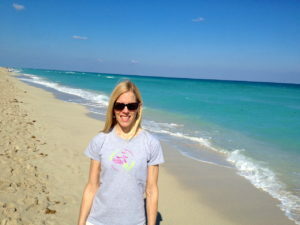 We arrived in Miami to a sunny 79 degrees and headed straight to the beach where we enjoyed an almost two-hour walk. That evening, we enjoyed one of the highlights of the trip: getting together with The Foodie Physician herself, Sonali, and her husband, Pete. We dined at a Yardbird, a South Beach restaurant with great food and lots of character and energy….but it was the amazing company that made the night truly memorable. 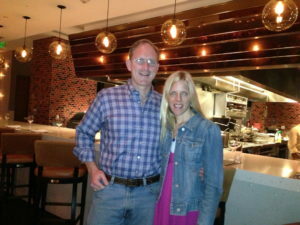 If you don’t know this culinary school-trained ER doctor yet, click on the link and pay her a visit. Her recipes are creative, wholesome, and just plain delicious. 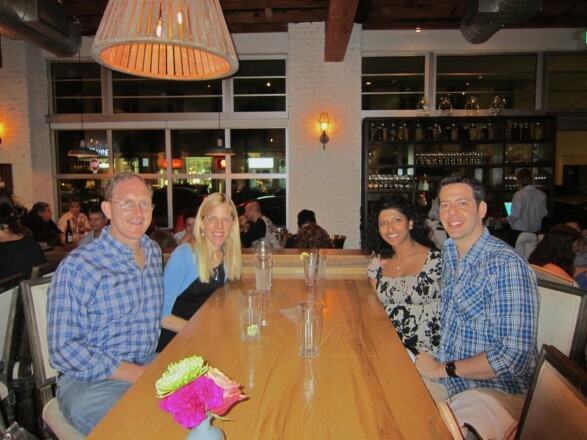 Dinner at Yardbird in South Beach with Jack, Sonali (The Foodie Physician), and Pete. Saturday at Canyon Ranch was filled with a relaxing massage, more great food, a visit to the well-equipped gym, and some time on the beach. As luck would have it, we bumped into old friends that moved out of state over six years ago. We hadn’t seen them since, and it was pure luck that we passed each other. We thoroughly enjoyed catching up and took a long walk on the beach with them. Another highlight of the trip! For our last evening, we enjoyed healthy spa cuisine that tasted absolutely incredible. I had Corvina (a tender, white fish) in a lobster and artichoke sauce and a kale Caesar salad. After dinner, we took a taxi to South Beach, did some window shopping, and enjoyed some gelato. 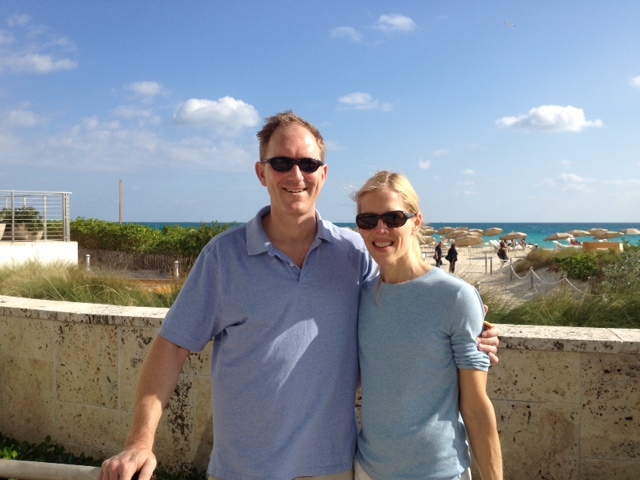 After a leisurely breakfast and another long walk on the beach Sunday morning, we were picked up at Canyon Ranch, returned to the Miami airport, and flew home to our two boys who had been staying with their grandparents. All in all, it was a whirlwind weekend, but a delightful whirlwind for sure! I must truly thank all the wonderful people at Smart Balance who arranged the trip on our behalf and took care of every last detail. The room with an ocean view, the generous credit towards my spa treatment and our meals, the ride to and from the Miami airport…they truly made this a relaxing escape. Amidst the wonderful craziness of two kids, a husband who travels weekly for work, and a job of my own, it was a true gift to have a couple of days, literally away from it all, with my husband in the the Florida sunshine. The gorgeous ocean view from Canyon Ranch. This was a type of jellyfish we saw on the beach frequently. These were nothing like the jellyfish we are used to seeing along the New Jersey shores, and we thought our kids would have been particularly intrigued! And for any of you who haven’t tried the recipe, I am including it below if you would like to print it out and give it a try. If you have tried and would like to sample a different version, like Apple Crisp Baked Oatmeal, or other seasonal varieties, like Strawberries and Cream Baked Oatmeal, simply click on the Breakfast Categories link at the above right side of this page and peruse through the offerings! 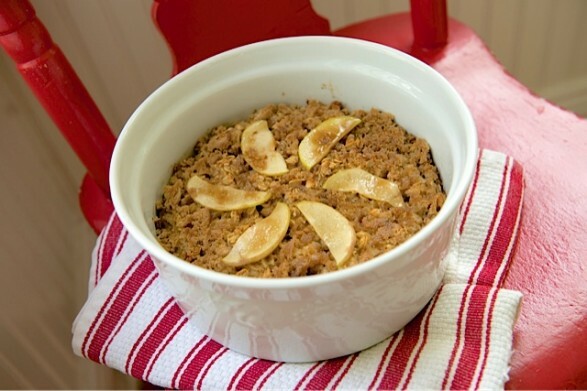 I am always experimenting with and tweaking my recipes and baked oatmeal is no exception! Recently, I began adding two tablespoons of steel cut oats to the batter. The recipe is delicious without, but if you have these oats on hand and like a bit more "texture" to your food, you could give it a try! Combine all ingredients except the oats and brown sugar in a large bowl. Add oats and mix well. Transfer mixture to a buttered baking dish. (You may use a 9-inch pie plate or an 9-inch square pan–or really any 2-quart baking dish–depending on how thick you would like your oatmeal. A 10-inch cast iron skillet works well, too.) Cover and refrigerate overnight or for at least 4 hours. When ready to bake, let the baking dish sit on the counter while the oven pre-heats to 375 degrees. Uncover the oatmeal and bake for 27-30 minutes or until just firm in the center. Remove oatmeal from oven, set oven to broil, and sprinkle brown sugar over top of oatmeal. Broil for a minute, watching very closely, or until the topping is melted and lightly browned. May serve with warmed milk, slivered almonds, chopped walnuts or pecans, and sliced bananas, if desired. My kids eat it plain, like a muffin; I load it up. Cover and store leftovers in the refrigerator. May reheat gently in the microwave. If you use melted butter or coconut oil in this recipe, it is helpful to have the ingredients come to room temperature before mixing, That way, the butter or oil will not re-harden when it comes into contact with the cold ingredients. Thank you again for the opportunity Smart Balance! I agree, Sonali! Thank you and Pete for planning Friday night and making it so much fun. We might have to make an annual trip of it! Beverley, you are too kind! Thank you very much for the thoughtful comment. The next time, we expect you to hop a flight and join us! Welcome back to winter Ann! I am so thrilled you were able to go in the midst of this cold winter! It looks incredibly beautiful there and how perfect you were able to meet up with Foodie Physician! I am going to explore her blog and find other wonderful meals and ideas.. The jellyfish you have pictured here almost looks like Portugese Man o’ War! Thank you. Mary Lou! 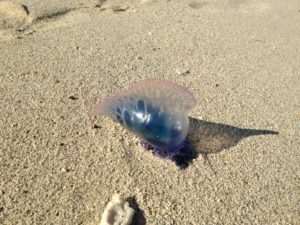 You will love The Foodie Physician and I have never actually seen a Portuguese Man O’War…but I have heard they are not something you want to get close to! These were rather funny looking! You are too funny, Rila…and so very kind. Thank you for your thoughtful comments, and I would answer one of your questions any day…it is always a pleasure to “hear” from you! Ann I am so glad you had a good time on your trip! How fun and you know I was dying to be there with you. Hugs and loves my friend. You rock! Thanks so much, Ann! You will have to fly in next time, too…we will have to make a next time!!! I have made several of your baked oatmeal recipes and enjoyed them all. The ones I have tried are all on the sweet side and my husband likes savory (especially for breakfast). Is there a savory baked oatmeal that you know of? Most of my baked oatmeal recipes involve fruit and are more sweet than savory. As a starting point for this particular recipe, you could remove the sweeteners (the 1/4 cup honey or maple syrup in the recipe and the brown sugar topping), use a tart apple, and omit the vanilla. Olive oil could also be used for the oil. If there are any add-ins you think your husband would enjoy, let me know and I could offer a few more suggestions. If he likes eggs, I have a peach version that is slightly eggier and may be a good option when the fruit is removed and tailored in a savory way.